A BIG THANK YOU TO EVERYONE WHO HAS SUPPORTED THIS WONDERFUL FUN FAMILY EVENT! 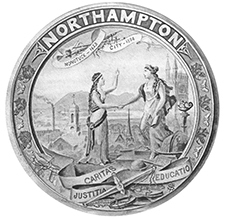 To help with the planning of this event next year, email info@northamptonfamilyfourth.com! WE ARE FUNDED 100% BY DONATIONS FROM OUR COMMUNITY. Show your support for the Northampton Family Fourth Celebration, and to let us know that you want it back. of $25,000 and follow along with our progress using the chart to the right. Click to see our packages! Created using the Donation Thermometer plugin https://wordpress.org/plugins/donation-thermometer/.$25,000$1Raised $1 towards the $25,000 target. Normal fees/season’s pass apply. You may remain in the park for the remainder of the evening, or leave as you wish. After 4 p.m., only vehicles with valid handicapped permit or NFFC parking pass are permitted into the park. Parking at JFK Middle School: $5.00 donation to benefit the Northampton Boys Youth Lacrosse. There is a short walk to the park from the middle school (less than 1/4 mile). No unauthorized access to fireworks staging area. Those in violation will be instructed to leave the park for the remainder of the evening. This is a safety and legal issue and is nonnegotiable. No glass bottles. No vendors in parking areas. ATM is available at the Look Park Visitor’s Center. This is a family friendly, alcohol and tobacco free event. Email gertbj@yahoo.com if you are able to help out on the day of the event! We Need Volunteers! A variety of carnival type games as well as a bounce house and bounce slides will be open from 5pm to 8:30pm. Games include Frog Slam, Crazy Hats, Toilet Toss, and more! Cost is 50 cents to $3 each. Food vendors will have fresh cut french fries, burgers, fried dough, mexican food, ice cream, lemonade and more! The Park will be closing to traffic at 4:00 PM, or earlier if full. 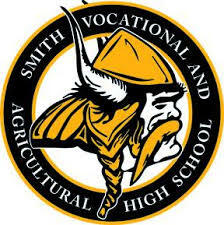 Free parking and shuttles will be available for free at Smith Vocational High School starting at 5 PM.